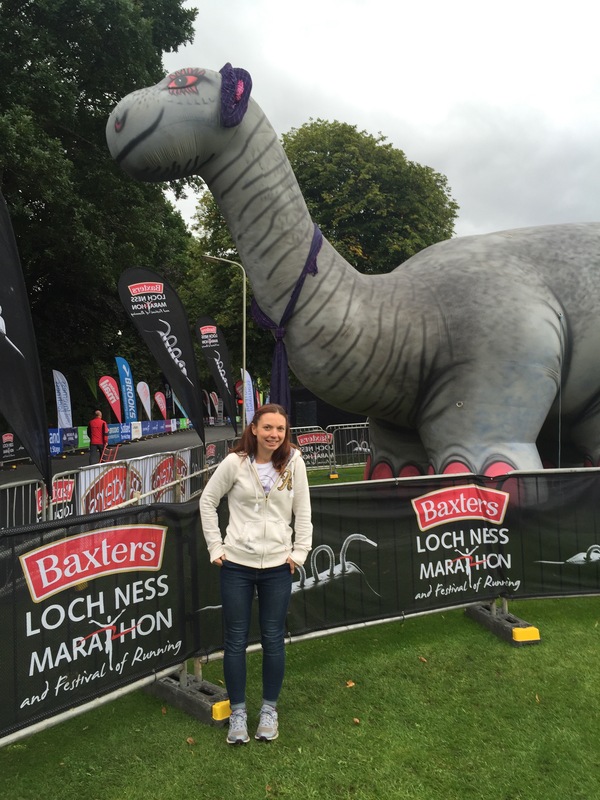 When I first heard about the Loch Ness Marathon I thought nothing more than its a marathon in a bonnie place. Didn’t take much deliberating, I knew I wanted to run another one so up I signed. I had a little look at the route – start at one end, finish at the other – and the elevation, which looked pretty much downhill to me. A lot of the reports said – and I quote – ‘this is not one for first timers’. Naively I thought that was just because it wasn’t a route there would be many spectators along due to logistics. Turns out that was only part of it, a small part of it. In true ‘Ella’ style the few plans that had been made were thrown in the fire just a couple of days before. The eldest wanted to go to a party on the Saturday night and we couldn’t leave knowing he would be drinking and there was no one here for him so it resulted in the other half staying at home and I would jump in with my parents in their motor home. A change like this throws my mind in to turmoil and yes, there were a few tears when we drove off but I managed to control them quite well. My dads dukes of hazard style driving is enough to distract anyone! Registration was easy and my mum and I had a good look round the expo. This was my first expo and although small I still managed to pick up a few things. The other half had given me money to buy a top as a momento, probably hoping that would be all I’d buy but he was wrong – half price Brookes you say? The exact ones I had looked at before? Be rude not to! These new trainers got me thinking about the ones I had bought instead of them a few months back. I wasn’t keen on them. I had to mess about a lot to make sure nothing was digging in to my foot before I started running. Wearing brand new trainers on a 26 mile run is a bad idea. But I did have my old ones with me, and I love my old ones. I decided to wear them instead. Take a gamble. After speaking to the couple in the campervan next to us I discovered there was a bus pick up point a 5 min walk from the campsite so after a little back and forth I managed to get myself booked on to it. It was an early start but no one likes a run starting mid afternoon so you really can’t complain. The only way to the start is by bus which is all put on for you as they close the roads. Very organised. As I sat on my seat and watched my mum pulling faces at me I tried to focus on what was lying ahead. I had signed up for this, I wanted to do this, I had dragged my parents up here so I could do this. I had even had arguments at work because I wanted to do this. So surely I could sit on a bloody bus by myself for 20mins and get myself to the start line for god sake. I resisted the temptation to sit on my phone and instead listened to the loud voice of the guy a few seats up who was talking about all the different countries he had ran in. It was a good distraction if nothing else. As soon as I got off the bus the cold and wind hit me. We were in the middle of nowhere with very little shelter. Luckily for me I’m smaller than practically every other human being so I immersed myself in the crowd and used them as protection from the elements. Survival skill training 1 0 1 people. I also knew from festival going that there was no way I was waiting in that queue for the toilets so yes, I did pee in a bush. It happens ok, do I need to mention Paula Radcliffe? Steve was also running so I knew he had to be around somewhere. Trying to spot him was going to be difficult so I decided to wait by the baggage bus as I thought his number was close to mine. My tactics worked and after 25 minutes he appeared out of no where right in front of me. If I was the type of girl that did the whole ‘squeal when you see someone’ only dogs would have heard me! We put our bags on the bus and headed to the start line. My big toe on my left foot started speaking to me, this wasn’t good. I quietly told it to shut up and took a last minute pre-race photo to try and ignore it. A few last minute words of advice from Steve and we were off. He stuck by me for just over the first mile and I have to admit it helped settle me in to it. Unsurprisingly I didn’t see him again until the end. It’s downhill from the start and I was very cautious of not going too fast too soon so tried to keep it steady. My left foot didn’t like downhill so I kept trying to ‘move’ it to a comfier position inside my trainer. This tactic did not work. I considered stopping to put a plaster on but didn’t want to lose my rhythm. Yes I know. Clearly I know what I should – and shouldn’t – do, but I did the opposite everytime. Have I even ran before? It was a very quiet race from the start, there’s no place for hoards of spectators to get to and there wasn’t much chatting going on. The views were certainly breath taking though. At exactly half way someone came up along side me. ‘Well hello fellow road runner’. It was Kenny from Perth Road Runners running the marathon for the 15th time – 15! He was now part of an elite group they had fondly called The Famous Five. 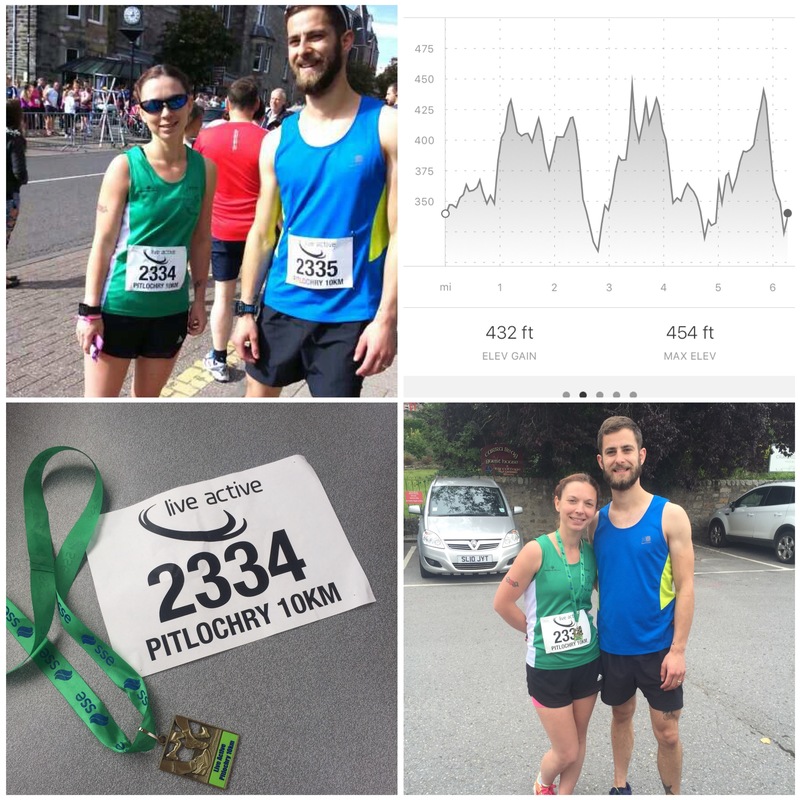 He told me he loved this route and gave me a little tip – the section we were on was the flattest and straightest part and I should treat mile 18/19 as half way. I thought this a little odd but he’s the one who knows it like the back of his hand so I wondered what lay ahead. By mile 15 my foot had progressed to toddler tantrums. I considered stopping to put a plaster on again but instead took a selfie whilst running – as you do. The thought was there at this point I wasn’t making my sub 4 hour but the finish is still the finish. I put my ear phones in for a little bit to drown out the screaming foot and some of the stomach that had suddenly decided to say hello. There’s nothing quite like a little Fall Out Boy to get you going. Miles 18/19. I died. Game over. 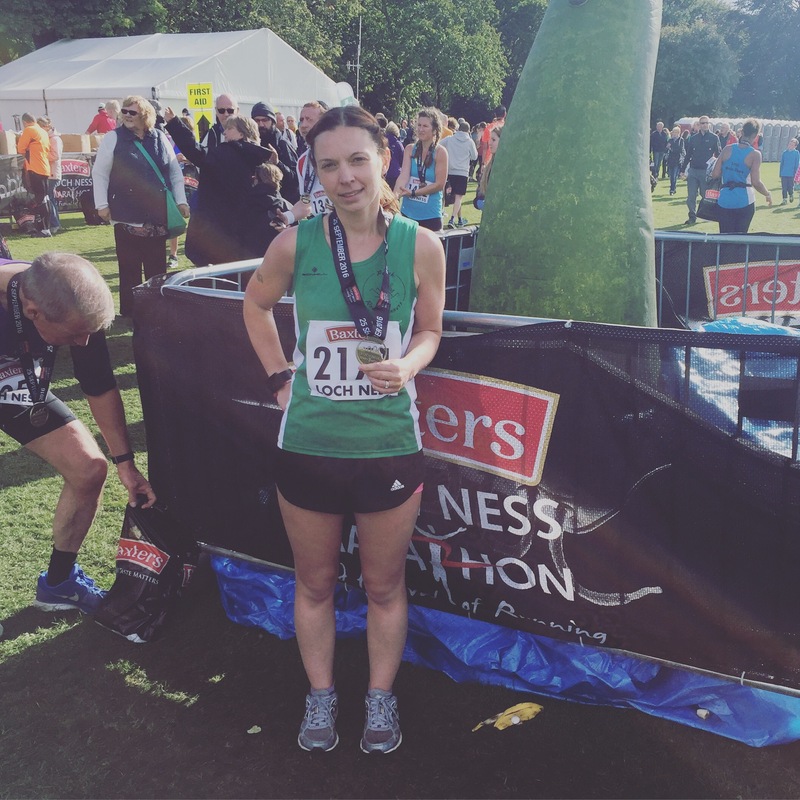 Sub 4 hour – are you having a laugh? Who the hell told me this was flat?!? Mount Everest isn’t as steep and long as this for crying out loud! I was reduced to a hobble climbing up the monstrosity. That Loch doesn’t have a monster, this hill was it! I have found the Loch Ness Monster – it’s this hill! Suddenly I realised what Kenny had meant. This is where the race starts. I was having real problems with my foot now. I lose my footing slightly and the pain just shoots through my toe, I genuinely debate with myself whether or not I’ve somehow broken it its that sore. There’s nothing quite like an endurance trial to slap you round the face and bring you down a peg or two, remind you who’s boss ie not you. 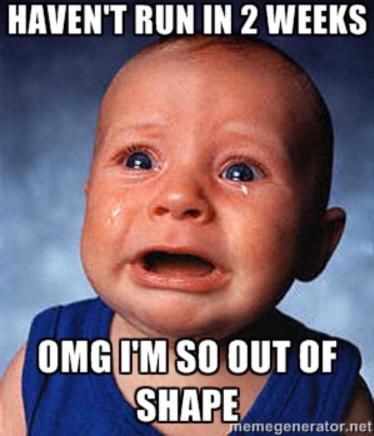 My core isn’t holding up very well either. I thought my core was quite good, not exactly been working on it but been doing some work. I was wrong. I must be on lesson 5 by now! As I hobble slowly up I do a slight double take as I pass a sign. Did I read that right? Did that say ‘Wee bit hilly’? Further on there’s another ‘Slightly steeper bit’. A bloke goes past me, ‘quite funny that’ he says. I wasn’t laughing. (Well, not at the time, but they were pretty funny ha ha). Eventually I do reach the summit and I’m quite surprised there’s no cairn to put a flag in. I trundle along, appreciating the few supporters that have made their way out as I head through a small village and back in to civilisation. My pace is slow but I’m still moving. Negative splits aren’t all they’re cracked up to be I tell myself. Further on and I hear ‘oh a Perth Road Runner’, so I glance back with what I hope is a smile. Ok, last bit. Past the finish line on the other side of the river (who’s idea was that?) across the bridge and then final stretch. There’s a fab breeze on the bridge and it feels so good. I see the 26 mile marker then hear my dad at the side ‘Ella, gies a smile hen’. Completely unjustified but my foot and core have now joined forces and declared outright war on my very existence it’s all I can do not to surrender and throw myself in the river. Dramatic I know, but it hurt. He bellows with laughter as I go past. Onto the grass, music is blaring. Almost home. Really?? Are you really going to try and kick it up a gear and finish strong? I pick up the speed and all I hear is ‘and Perth Road Runners are here, Ella Webley, what a fantastic finish!’. He was a nice man, a liar, but a nice man. I hear my mum at the side shouting and trying to get a photo but all I can do is put my head between my legs and wait to see if I have actually died. My lungs slowly fill back up and I stagger across to collect the countless things on offer. I’m asked if I would like 2 bottles of water ‘oh my god yes!! Thank you’. I hear my name and spot Steve waving just at the other side so I make my way out to see how he got on. His wife Allison is there too and she tells me she was following us on the tracker – it’s an amazing thing! Steve managed an awesome 3hrs 34 despite holding back in that first mile. I discover I came in at 4hrs 9. I will take that. My mum arrives and we head for our delicious free soup and casserole. My dad wants to get back down the road so I take it back to the motorhome where I also peel off my trainers and socks. I will end it there – no one needs the detail on what marathon running can do to your feet. A very sore lesson to learn the hard way however it is most definitely learnt! My love affair with my precious trainers is no more. Just like Brad and Angelina we have parted ways. I’m ok with 4hrs 9, it’s better than my last time and it’s my own fault. 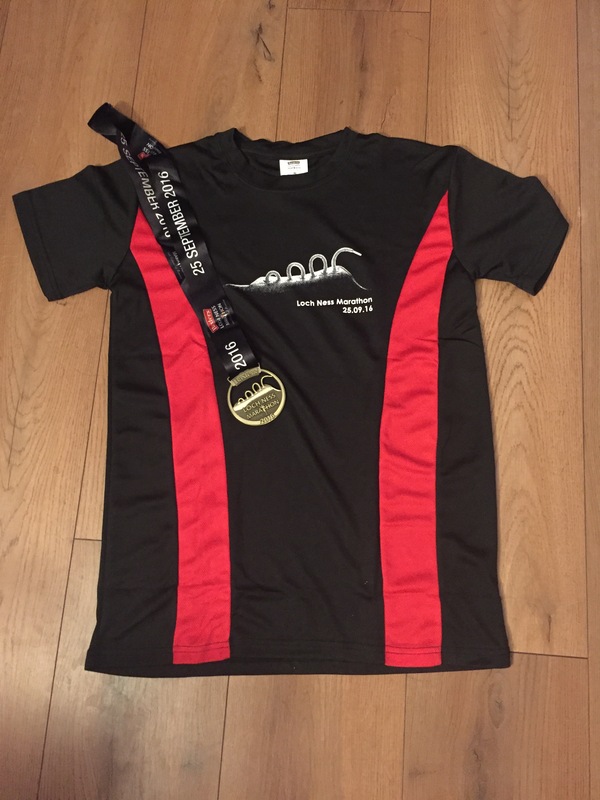 Next year will be a sub 4 hour – no doubt about it! I thought I was doing quite good, thought I was ok, as comfortable as I could be I would say. I am now officially bricking it. And I’m not too ‘proud’ to admit it. I don’t know why but this race feels different. It’s the same length as the Edinburgh Marathon (shocking, I know, would never have guessed that) and it’s a distance I’ve done before. But it just feels different. Plans have changed for it. This is the one my dad is well enough after his by pass to come to so my parents are using the opportunity to come along and have a weekend away in their motor home (excellent support vehicle!) Originally the other half was running it too but he has no interest in this kind of distance, not unless you have to cycle and swim as well. (Sneak peek? Maybe…). He’s chosen not to run but essentially that shouldn’t make a difference as we don’t run races together anyway due to different pace. He was still going to come but then our eldest is going to a party tonight and a teenager at a party when we are 3 hours away does not prove to be a good nights rest for anyone so after much deliberation he’s staying in Perth and I’m jumping in with my parents. It’s been hard to get my head around leaving the youngest but I’m on the road now and I need to think about the fun he will have with his dad whilst I’m away (I won’t think about the mess and chaos I will return to). But that still doesn’t make the race ‘harder’ to run really. I’ve thought about trying to be organised – that usually helps a messy mind. So I was going to write all the water stops and toilets on my arm so I knew where they were. Given I have a memory of a goldfish and there’s always that chance of me getting lost on a race this seemed an excellent idea. Until I realised they would take over half my arm and I would look like I had one of the worst tattoos ever and should be on tattoo fixers. I considered writing them on paper but am I really going to stop to get out a ‘map’ whilst running? It’s a marathon, not orienteering or hill walking! So my plan is to try and remember just 3 numbers – 2 toilet stops if needed and a definite water stop. What about gels? I’ve not decided when to take my gels yet. And usually a small drink after gels is good or in some cases required if it goes down the wrong way. Maybe 2 or 3 water stops then. But then if I’m drinking more I will probably need the toilet more so maybe that should be 3 or 4 toilet stops in case they are busy. Then there are the nutrition stops. And we are back up to a tattood sleeve on my arm. But what if it’s cold and I’m wearing long sleeves? I signed up rather late for this one. 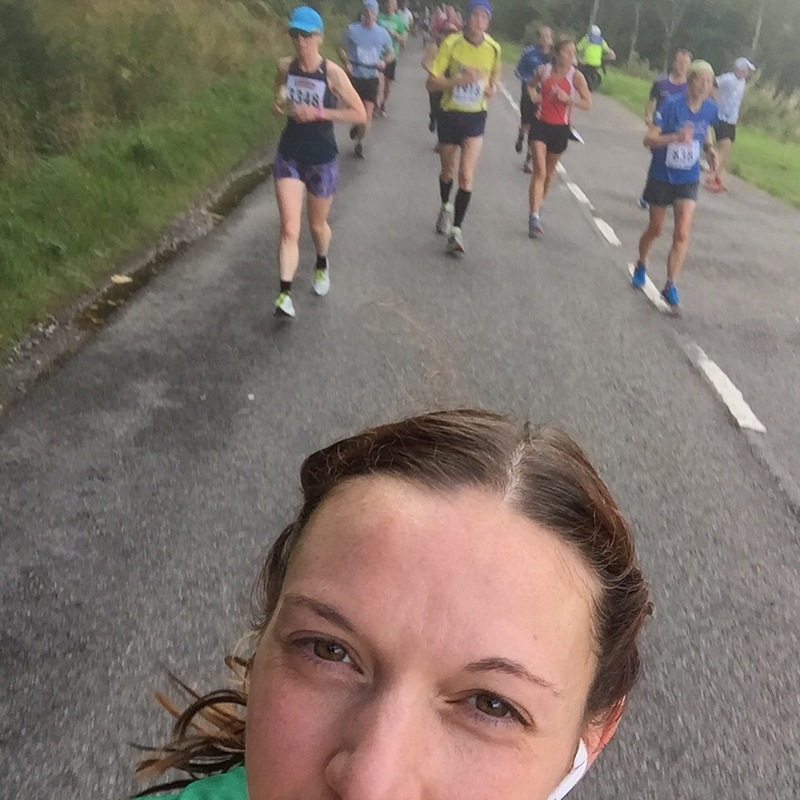 Mainly because I couldn’t make up my mind between the picturesque 10k just up the road or to re-visit the first half marathon I had ever done that also had an awesome medal. In the end I opted for the ‘sensible’ (?) option which everyone had said was a really nice run. Not going to lie, glad I did, especially after finding out the cost of the shuttle buses, the amount of road works and let’s not even mention the fact the medals weren’t ready for the half. Im not too shy to admit – I like me a bit of bling! And I like it when I cross that line! Both my mum and dad were coming to this one with our youngest and we knew quite a few others running it as well (51 Perth Road Runners at last count, not that I know everyone of them ha ha). It was going to be a good day. I had put firmly in my mind I had to take easy as I really dont want to put the marathon at risk so I wasn’t aiming for that PB. We actually set off on time – miracles can happen apparently – and met the parents up there. Early. Very early. In fact so early it reminded me why I was not known for being on time. Man it was boring waiting around. Countless trips to the bathroom entailed followed by constant checking of the time until finally, we made our way to the start area. We said a quick hello to Brian and Ginnie. 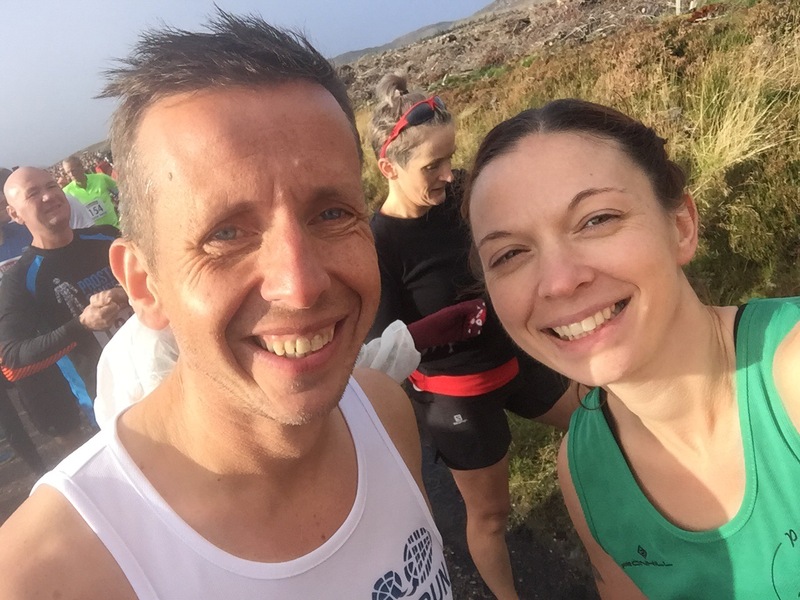 Brian had ran it last year and was doing it again this year and Ginnie had recently completed a swim longer than the Amazon (well, in my eyes anyway). A quick photo with the Road Runners then we all gathered behind the line. I went further back than I usually do but figured it was chip timed so didn’t matter. (Bit of a mistake there as it was done on gun time). Off we went and it was a very small climb to start with. All that could be seen was a sea of green vests and as I slowly made my way forward there were many ‘good luck’ comments as I passed (it’s not called the friendly running club for no reason). It was hot but bearable thankfully and there was shade so it didn’t bother me too much. First kilometre down and someone in the distance caught my eye. It wasn’t closed roads and there were quite a few marshal cyclists going back and forward reminding us to ‘stay on the pavement’. You knew when someone didn’t listen to them as the tone very quickly turned into stern parent! I stayed firmly on the pavement. My pace was steady, good, keep it there. Yes I know who you can see up further ahead. Leave them, don’t push it. Then……. ‘Mark, where you going, that’s the wrong way’. He had pulled off in to the bushes. Sometimes I wish I was a bloke – for that advantage alone. Needs must and all that. Right, seriously, enough now. I slowed my pace back down as we entered the Faskally Woods and took in the scenery. I don’t do a great deal of trail running so I was loving this. I went over a timing mat at about 5km and was just thinking how odd it was to have it on such a small race until I ran over 3 more and realised they were mats over cables as the woods have a light show. Maybe it was hotter than I thought. Do I try to chase him again? I wouldn’t say chase as much as I would say ‘consciously tries to keep up with’. That is until – the bridge! I take a sharp turn on to the bridge. I take a few steps. I feel a slight wobble. Oh that’s a bit different I think. I keep going. It wobbles again. Not so sure I like this. It then drastically moves right to left – at least 5 metres. I stop dead. What the @&!%. Oh hell no I do NOT like this!! Ok 5 metres may be a slight exaggeration but only slight! I creep my way to the end and inform the marshalls there ‘That bridge moves!’. ‘Yeah’, comes the reply, ‘A few people have said that’. I feel a very strongly worded letter of complaint coming on at this point. Not far to go now and it’s back in to the woods. Bridgegate still playing heavily on my mind. Then I’m hit with stairs. I’ve never known a race to have stairs. I look for the stairlift. Very, very slowly I make my way up. There are people coming down them with buggies and I think ‘yes, an excuse to stop’. But they are too kind and stop at the side to let me past. They even apologise for being there! 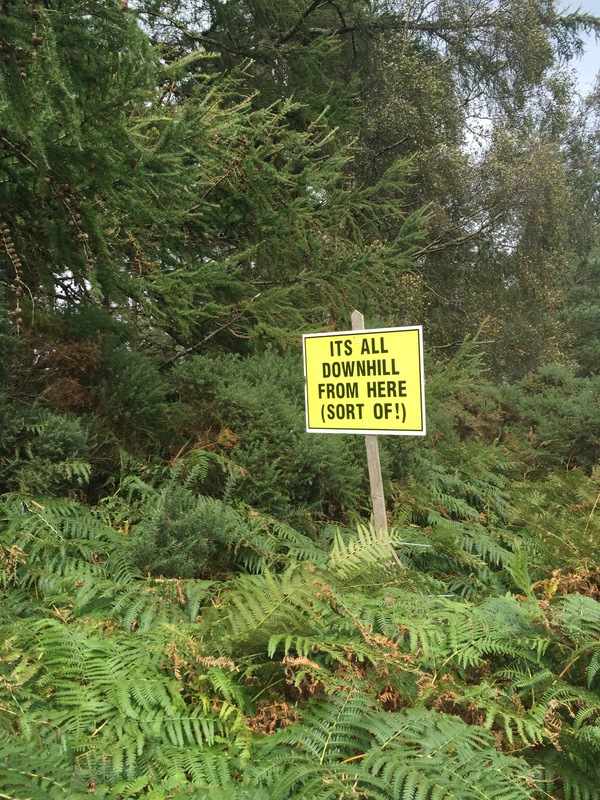 Top of the woods and it’s out on to the A9 for a very short section. I can no longer see Mark (I blame bridgegate) but I’m quite thankful as I need to be slower. I settle back into a steady pace and then, a Marshall goes past me on a bike. ‘Please tell me you’re not the sweeper?’ I ask him frantically. Thankfully, he is not. As I pass the gorgeous spa resort I make a mental note to ask/nag the other half to take me there. Maybe if I stop booking him in to races he might! It’s downhill from here, but when I say down hill I mean a steep downhill. I can already picture myself falling so don’t push it and let a couple of people go past me. But then, about 5 metres from the bottom, all I can picture is Steve at the side of park run shouting ‘go on you can catch them’. Try as I might to ignore him it gets the better of me and I pick up the pace – narrowly squeezing past one of them on the inside. I hear my name being shouted by a couple of people and keep going to the line. Yup, you took that really easy Ella, well done. I find Joe and discover my parents are still in their motor home back at the start (it’s the vans first outing, like Christmas for my dad). So we make our way back to them after sweaty cuddles with Brian (who aced the run) and Ginnie. Got to love a post race hug! All in all a good day to be fair. A great run, a nice ride out in the car and lovely people! It’s time to taper now so I fully expect a ‘grumpy’ week – Joe can be very moody at times ha ha. With only one week to go until I take on my next big challenge the niggles and worries are beginning to set in. I warn you now this post may very well turn into a frantic rambling of a panicked runner mum! Entry is in and confirmed, bit of an issue getting my club attached to my name but they promise me it will be fixed. Accommodation is booked, so I’m told, it’s not my department or we would end up staying somewhere in Wales that ‘sounds like it should be in Inverness’. Training is done – slightly different than training for my first marathon but I’m as confident as I can be that I can do the distance. It’s the unknowns, the variables, that are beginning to worry me. It’s been hot recently, really hot, and I don’t run well in heat. But it’s in Scotland in late September, how hot can it be? Bloody hot ok, really bloody hot! Especially for someone who has the ability to get burnt in the shade! Shorts and vest it is then. But then I’m told it’s freezing at the start because you have to get a bus out to the middle of nowhere and wait about 2 hours to get going. So it’s jogging bottoms and jumper (probably a hot water bottle too) at the start then strip down to run. What do I do with my clothes I strip off though? I don’t own clothes I am happy to throw away. I buy them to wear them then donate them if they don’t fit anymore. Wonder if my other half has anything I can use……. And what if it rains? Hell its Scotland what if it snows?? There is every chance we will get all 4 seasons in one day in this place – possibly even in one hour! Maybe getting a little carried away there. But only just a little. It’s probably going to be hot so I need to think about hydration. I don’t carry bottles as the swooshing sound makes me need to pee all the time and trust me, after 3 kids, I have enough things making me need to pee without added extras! I could carry a camel pak, that would work. Long gone are the days I look at people running with hydration packs and think ‘is that really necessary?’. Yes Ella, it is. It’s been recommended to drink electrolytes too so a kind lady at work is bringing me in some of the ones she sells. Probably should have done a tester beforehand but I’m sure it will be fine. I mean, what can go wrong right? But now the biggest thing…..
Should probably stop writing right here. Have I tapered? I think so. Not a great amount, admittedly, (yes there was that small half marathon last weekend) but I have cut back this week. I did park run this morning and was aiming to go slower at 26mins but came in at 24. It’s hard. I have a 10k race tomorrow which everyone has warned is a hilly. That may not have been the best idea but I will take it slower, I will not race it. I know I have to cut back. I know doing a triathlon the weekend before my last marathon killed my quads. I am not doing that this time. I can do this. I can have an easy week. I can run slower tomorrow. I won’t run every lunch time. I will volunteer at park run so I can’t run the day before the marathon. Oh my god I’m going to be bored this week. Earlier this year when my other half and I were helping out with the The Alexis Rose Trail Race Alexis dad Alan asked us if we would be part of the team doing the Great North Run. We had enjoyed helping out with the trail race and Joe was – to my surprise – quite agreeable to it so we signed up. At 13.1 miles and having hundreds more in my legs I wasn’t worried about the distance. I knew it was a ‘popular’ run so there was going to be quite a few people. This might be a problem but we were going as a team so there were bound to be people in the same start pen as me – I would just have to try and stick with them and not freak out. I didn’t even look at the route if I’m honest. It’s in Newcastle, there’s a bridge, the Red Arrows do a fly over, that was about as far as I got in my research. Then, the magazine came. And the social media posts started. ‘The Most Popular Race in the Series’. I know Chris Moyles did it a number of years ago, made it quite popular at the time. ‘Thousands of entries’ – yeah, expected that, I know. ‘World’s Biggest Half Marathon’. Worlds biggest? Ok that I didn’t know. Yeah it’s on telly but so are baking shows and who watches them? As the time grew nearer I took the adult approach of ignoring it all. Seemed the best choice. On the drive down to Newcastle I was ‘ok’. It was certainly different leaving the kids with my parents and travelling so far for a race. Joe had booked us in to a fantastic hotel and the minute we arrived we were very well looked after. The receptionist recognized instantly we were there for the run and gave us all the information we could want. The gym opening times, the pool opening times, where the metro was etc. She even told us we could go back to the hotel after the run to use the facilities even though we would be checked out! Needless to say we will be staying there again! We were meant to be meeting up to get our running vests as there had been a problem with them but unfortunately it was late in the day and it turned out we were not staying near anyone else (Newcastle is pretty big!). Luckily I had packed my meningitis running vest from when I did the Scottish Half Marathon (also for Team Alexis) so I had that to run in. It also had my name on it which would come in handy for the run. Can’t beat a bit of encouragement from the sidelines. We went for a swim then had something to eat before heading to our room and the comfiest bed I have slept in in a very long time – probably because it didn’t have any dogs on it! Morning of the race and we were up, bags packed and directions in hand to the metro. Just a short walk and we were at the station and within 5 minutes we were on the metro. I got to one stop and that all too familiar feeling hit me like a tidal wave. I grabbed on to Joe as the tears started trickling down, closed my eyes and started counting down the stops. It wasn’t even a long journey to where we were getting off – possibly 10 minutes – but it felt like half an hour. I just wanted off and to get back up to Scotland and to the kids. Out of the underground and we were up on the street following the crowds. No idea of where to go just following the masses. As we crossed the road my phone started ringing – it was my brother phoning all the way from Australia! He could not have phoned at a better time! Even though it was a bad connection it was just what I needed. Calmed me right down. We made our way to the baggage buses and dropped off our stuff amongst Scooby Doo, Breaking Bad, Vikings, Pirates, Marilyn Monroe, Storm Troopers – you name it someone was dressed up as it. Joe was in one of the front pens and I was 4 behind him. He had originally said he would just jump in my pen but to be fair he had a good starting position and wanted to go for a pb. He wouldn’t be able to do that if he fell back in to my pen so I told I would be fine. He walked me up to my start line and went back to his. Head down I went straight to the front after taking a bottle of water. As the pen starting filling up I tried to ignore the elephant putting pressure on my chest and to be honest, there’s only so much of staring at your trainers you can take. When the mass warm up started instead of standing still I decided what the hell just go for it. Now don’t get me wrong I didn’t fling myself around like a creature possessed but I moved. I stepped side to side, I swung my arms round in a circle, I squatted (thankfully I didn’t need the toilet!). There was no big ‘bang’ for the start – or if there was I was that far back I didn’t hear it. I did hear my phone go again. This time it was my dad. No I haven’t started yet. Yes I know Mo Farah has. That’s right dad he is faster than me. Bye dad. A couple of good luck messages came through from my friends – ‘I will be at my window with my chip butty’ – got to love them ha ha. And before I knew it I was crossing the start line and turning my garmin on. And then, I had to stop. My blooming shoe lace came undone! Who makes such a rookie mistake?!? I actually had to stop less than 500metres in to tie a freaking shoe lace! I can only put it down to being in the pen for so long. Excuses, excuses. As predicted it was extremely difficult trying to weave my way through 57000 people – yeah, that’s right, 57000! I think my freak outs were justified. It didn’t help that every single person wasn’t just taller than me, they towered over me. I’m used t being the smallest, have been since I was born, but when everyone around you shares air space with the BFG it’s quite daunting. I managed to get past the firefighters, the unicorns, batman, superman and wonder woman (awesome costume) but I wasn’t keeping as fast a pace as I had hoped. I knew I would have to accept this though and as it heated up those around me started slowing more and more. Getting across the bridge was very tricky as there was a camera there which clearly everyone knew about apart from me. I had wanted to take a video when the Red Arrows flew over but to be honest I am very glad I didn’t. Why? Because I got a lump in my throat and that set me off. Yes, I had a little cry, whilst running. My name is Ella and I cry when I am running. It was a very emotional day ok! Stop judging! From about half way I started seeing people at the side of the road with medics. It was very hot and I had overheard an awful lot of people talking about how little they had trained for it. Yes it has a reputation as a ‘fun run’ with thousands dressing up but it’s still 13.1 miles people. I ran through every shower they had available and slowly past the spectators who were out with their hoses but I was still feeling the heat. I poured water over my head at every station too but it was tough. At an hour and a half in I reckoned Joe would be finished so I tried to pick up the pace a little knowing he would be waiting for me. All the way along the route there were spectators cheering and shouting, it was great. There were several different charities with cheer points set up and it really was fantastic hearing the encouragement coming from them. There were local residents handing out jelly babies, wine gums, oranges, ice poles, loads of things! There wasn’t one time you were running that route where you couldn’t see or hear a spectator. As I hit the last mile I went past 3 girls at the side who shouted out ‘Go on Ella, well done Ella’ and then all I heard was them singing the famous Rihanna song ‘Ella, Ella, Ella, Oh, oh, oh, under my umbrella’. I’ve never smiled so much when running, I can’t thank them enough for that. They gave me the encouragement to push it on the final stretch and come in strong. As I made my way through the finishers section my phone started ringing again. It was my dad. ‘You done yet?’ Yes dad, just finished now. ‘Mo Farah did it in 1 hour 4’. Very good dad, good for him, can’t really breathe right now, I will phone you in a bit. Mo Farah isn’t a 34 year old mother of 3 with emotional issues when planes fly over head. Just saying. I find Joe quite quickly and we head to get the ‘I Did It’ photo taken. We stand and watch the incredible air show put on by the Red Arrows (no tears this time, I promise) and afterwards make our way to the charity tent to see if anyone else is there before heading to the ferry (which made my day ha ha). Back at the hotel we pick up the car and after a quick cooling drink we head back up the road. Both in finisher t-shirts of course. Despite the panic on the metro and the anxiety of it all this is definitely an event I would do again. It was run so smoothly and you really can’t believe the atmosphere until you experience it. Everyone was so friendly and willing to help. There was even water in abundance, everywhere you turned someone was handing you a bottle. I’m glad we were able to be part of Team Alexis this one last time and at such a great event too. If you are thinking of doing this stop thinking, just go and do it! Lastly, I can’t thank everyone enough for their support. From complete strangers to work colleagues, friends, family and of course my ever supportive mum (and dad – thanks for those calls!). Getting messages at a time when I’m honestly going to throw up or pass out is something I just can’t measure – even though the thought of a chip butty might actually push my stomach over ha ha. Next up is a more local 10km run which I know I will have to take easy as it’s marathon time just a week later! It’s the encouragement and support of others that helps me achieve it though. Today has been a very sad for me. I like to run in my lunch breaks, in fact, I almost insist on it. On the rare occasion I’m not running I can be found in the gym stretching the life out of whatever part of my body is hurting. More than likely though, I’m out running. Sometimes I have a running buddy but other times, like today, I’m out with my earphones in, singing away whilst plodding along. No matter what route I take though I always have to run back up the Glasgow Road. It’s not exceptionally steep, it’s not even that long really, but it’s always there and it’s always at the end. Something else that’s always there is a lollipop man. 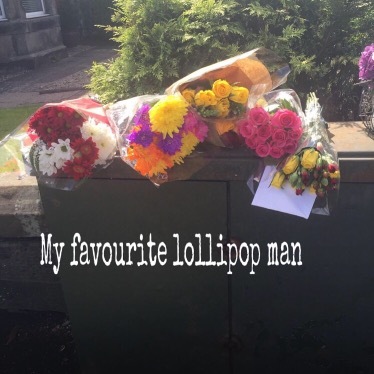 I’ve been referring to him as ‘My’ lollipop man for quite a while now. He is my focus for keeping going on such a horrible stretch of road. I tell myself ‘just get to your lollipop man and it’s flat from there’. And when I do he is guaranteed to have a smile and a wave waiting for you. A big smile, huge. His whole face smiles. He’s actually become part of my lunch time routine and he’s one of the reasons I insist on taking my lunch at the same time everyday. (Any later and he wouldn’t be there). So, today, when I was struggling up the road in the unbearable heat, my focus was on him. In his place were several bunches of flowers. My heart sank. I stopped and read the cards – many saying the same thing, feeling the same as I did. He wasn’t old, he didn’t appear to be of ill health. Admittedly I had never stopped and asked his name or exchanged more than a few words but he had become such a solid part of my daily routine. I later found out that it was a heart attack. He passed away at the end of last week. He was the uncle of an old neighbour of mine. Perths a small place. It’s strange how quickly you can get used to something when out running. My lunch runs will now have that little something missing. He will be sadly missed. Actually what I need is someone elses body – if you get what I mean. I’ve hurt my shoulder. Don’t know when, don’t know how. It just hurts. A lot. I can barely lift anything with my left arm. I’m talking a few kg’s at best with the dumbells. And 30 seconds is the most I can achieve on a one arm plank. Clearly somethings wrong. My left arm has always been my ‘weaker’ arm (is that a thing? It’s definitely a thing with me but is that normal? In fact, best not get into that discussion!). Truth be told it’s my entire left side that’s weaker. Hmm, weak would probably be a better description. That’s where my Harry Potter muscle is that gives me pain too. On the left side of my back. Do you know I can just picture myself when I’m older – wobbling round in circles because the left side of my body has totally quit on me and shrivelled up to nothing. There I am, middle of a car park, just going round and round in circles. Probably wearing a really heavy skirt and a shawl. Can you still buy shawls? If not I will have made it. No doubt. Not that I am over reacting. Nope. It does genuinely feel like my left arm has shrivelled up, become thinner, lost all muscle. I’m frightened to look in the mirror in case it’s true. I wonder if you can get like one side of you transplanted. Swap it for one that actually works and doesn’t break down. Like Will Smith in I Robot. Is that the one where the opening scene is him showering? Nice! Although I wonder if his arm gets rusty though. That wouldn’t be a good look. Or maybe it’s made from titanium. Biggest problem (other than my over active imagination) is that I don’t know how to fix it. I’m guessing more focused strength training in that area but if I can barely hold my own body weight on it where do I begin? First person to say ‘lose weight’ dies. I had to pick up my sons birthday cake today and I couldn’t hold it in my left arm. It’s a cake! A really, really awesome Paw Patrol cake but still, a cake! Ironically I had planned on running to the place to pick it up before realising I couldn’t run back with a cake but that’s just by the by. Or maybe a side effect of my useless left side? Is it the left side of your brain that makes you stupid? It’s not just my shoulder that’s hurting either. Well why would it be just one thing when I have 3 weekends in a row of races! One of which naturally is a just a little marathon, you know, nothing big. Nothing I’ve been training for or aiming for, nothing I’m keen to get improvements on. Oh no. ‘Just’ a marathon. It’s my calves as well. Tighter than a politicians behind when asked about his expenses they are. So I’ve spent over 3 hours stretching today. I’ve spent more time on that foam roller than I have googling how to get a body transplant. And consequently have felt like I’ve done nothing all bloody day. That’s probably why I’m ‘over reacting’ right now. Boredom. What do people do if they don’t run or cycle or swim? They go to car parks and walk aimlessly around in a circle because their bodies are f……….. Anyway. That’s enough. I’m going to parkrun tomorrow. Going to do a gentle, slow 5k, ease the legs. If the left side of my body doesn’t actually die and start to decompose whilst I’m sleeping.